We provide the educational foundation for articulate, intellectually aware, self-realizing architecture professionals capable of performing effectively in evolving design disciplines. Architects shape the physical environment to give expression to the values and beliefs of a culture and its people. When a client explains to an architect his or her desires for a building, he or she is also describing his or her values and priorities. It is these beliefs, and those of the architect, that are communicated by architecture. Like most endeavors in the arts and humanities, architects are concerned with forms of expression and the content of a particular message. However, what separates architecture from most other forms of communication is its sheer size, the longevity of its statement and its mass appeal. Simply, architects design buildings. Architects visualize a building but do not directly produce it. They visualize the future through models and drawings. These tools are used to communicate their ideas to others, especially to clients. The architect is the person who creatively envisions a product and then plans for the joining of materials and technique to produce the desired intention. An architect’s process extends from the broad conceptualization to the details of construction and fabrication. In the United States, most state registration boards require a degree from an accredited professional degree program as a prerequisite for licensure. The National Architectural Accrediting Board (NAAB), which is the sole agency authorized to accredit U.S. professional degree programs in architecture, recognizes three types of degrees: the Bachelor of Architecture, the Master of Architecture, and the Doctor of Architecture. A program may be granted a 8-year, 6-year, 3-year, or 2-year term of accreditation, depending on the extent of its conformance with established educational standards. 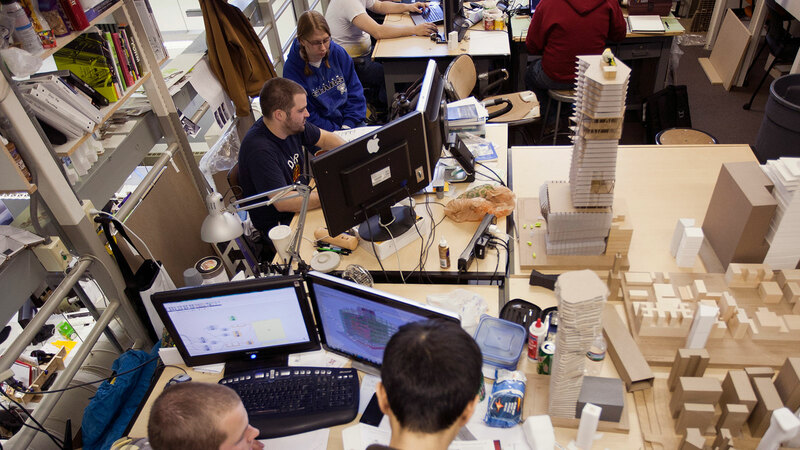 Here at UNL, the bachelor of science in design is a para-professional degree and a necessary component of the professional program which culminates with the master of architecture degree. The master of architecture degree is the first professional degree. The professional master of architecture degree is fully accredited by the National Architectural Accreditation Board (NAAB). Eating Filley sought to retrofit a historical stone bank barn in Filley, NE with a fine-dinning restaurant and banquet hall. Each student had to be attentive to complex and meaningful relationships that occur within and beyond the site as well as the complexity of the program. Projects recognized that the ideal environments for eating require specific and deliberate orchestration of experiences, theatrical presentation and architectural settings. The architecture sought to intensify and enrich the experiences of everyone involved through sequence, tectonics, views and a host of other architectural aspects.